Susan Huston Fashion Concepts offers a variety of services, from providing informative workshops for women, men and girls who strive to improve their personal skills and etiquette, to planning and coordinating fashion shows and events, as well as providing personal fashion consulting advice. Susan Huston Fashion Concepts has worked with some of the best organizations in the world, from Marriott Hotels to Freese & Nichols, Inc., a national engineering firm. People who draw on the knowledge and expertise of Susan Huston Fashion Concepts come from all walks of life. From Miss America contestants and the Bell Helicopter Textron staff to Texas Rangers Baseball Organization rookie players just beginning their professional baseball careers, Susan Huston has provided valuable tools for success. Bankers, college graduates, government staffs, business managers and young girls who want to start off life right with proper grooming and etiquette habits have turned to Susan Huston Fashion Concepts for the skills and polish to enhance their professionalism. 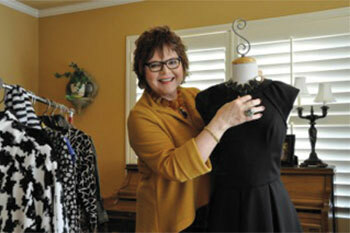 Susan Huston Fashion Concepts was founded by Susan Huston, a leader in professional development and an etiquette expert who often is sought by national and local media as an expert in this field. Drawing on more than 45 years of professional experience, founder Susan Huston provides outstanding services to her clients.